The Vail Valley Partnership seems intent on being more than a tourism-promotion group. The group these days is working to make health insurance more affordable for small employers. Partnership CEO Chris Romer is pushing to create something called a Multiple Employer Welfare Arrangement. Those arrangements allow small businesses to band together to create a kind of insurance pool. Advocates say the arrangements allow groups of businesses to negotiate with both insurance companies and health care providers to get the best possible prices for employers. Doris Kirchner, CEO of Vail Health, has said that organization would like to learn more about the arrangements. The problem is that insurance is a regulated industry, and some regulators don’t like the idea of the arrangements. Wyoming and Washington state allow the multiple employer arrangements. Colorado, to this point, does not. In fact, Colorado Insurance Commissioner Mike Conway in March of this year sent a lengthy letter to the U.S. Department of Labor’s Office of Regulations and interpretations. That letter details current Colorado law and Conway’s objections to the arrangements. Those objections, which have been echoed by state regulators in states including California and Pennsylvania, focus on the fact that these associations are largely exempt from state regulations. State regulators worry that federal regulations aren’t sufficient to monitor the associations. They also worry that some associations fail and that some plans are susceptible to fraud by administrators. That can leave medical bills unpaid and associations on the hook for some very large liabilities. Conway has also expressed concern that associations may not cover employees with pre-existing conditions. He’s also expressed concern abut further fragmenting the health insurance market. Those are all legitimate concerns. On the other hand, small businesses in Eagle County need some relief — and those businesses’ employees could use better coverage. State regulators should be more open to possible solutions. 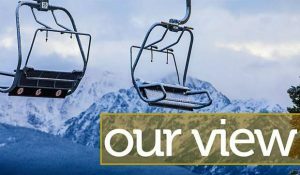 If local businesses are willing to take a risk — and fully understand the potential consequences — then Eagle County could be a good test bed for a possible solution to a difficult problem.